Imagine, for a moment, that we are sitting on a beach or up a mountain on a beautiful summer’s evening. We are watching the stars, imperceptibly moving across the sky as the night becomes day. How slowly the time moves, how calm we feel! Now, it’s 8.30 am on a weekday morning. We have to be at school in half an hour and that same time which stretched endlessly has suddenly shrunk to no time at all. The traffic is busy, the children are never ready when you want them to be and you’re bound to have forgotten something. How does this happen? The school summer holidays are nearly over here in England. It’s the last day of August. Almost seven weeks have passed by and where has that time gone? What have we done with all of those hours? Well, in our case we’ve visited friends, had a some time away, done some jobs around the house, walked the dog, had days and evenings out and most of all, had a rest. I have been grateful for the slowness of the mornings and for not having to battle with the rush hour traffic. I have been grateful for the difference in the amount of washing and ironing that I have had to do. I have been grateful to be able to stop clock watching, ready to abandon whatever I am doing to do the school run instead. Most of all, I have been grateful for not feeling as if I am constantly late. I know that time is a human concept, invented to make to easier for us to live with one another in societies which have grown busier over the centuries. What I have never understood, though, is how despite the regularity of the hours, time seems to be flexible, like a rubber band or piece of Plasticine, stretching out and then snapping back to make an apparent mockery of those minutes etched on the clock face. 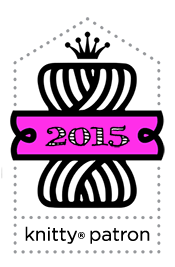 Why does time fly when you’re having fun and last interminably when you’re not? Why do we never have enough hours in the day when we’ve always got the same number, no matter what day it is? My plan for today is to try to organise the next few days and week so that we’re not constantly running late, forgetting things and squeezing too much into too short a time. I’ve said before that September always feels like the start of a new year, and my resolution for this one is to make it until the official New Year in January without feeling that time was invented to make me feel like a hamster on a wheel which never stops. Who knows if I’ll manage it (and you know that I’ll keep you posted!) but if there are a few moments along the way to watch the stars, then I think I might just make it. I can't quite believe that in just over a week and a half, the summer holidays will be over and my girls will be heading back to school and college. 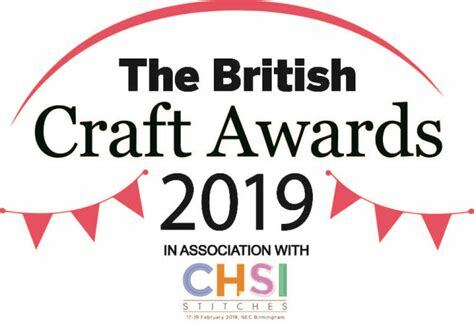 And although there's a part of me that's really looking forward to getting back to my usual routines and getting ready for the excitement of the Black Sheep Wools book signing, sock clinic and the Yarndale festival, there's another part of me that will be quite sad not have them around. I think we've had a good balance between busy and resting, out and about some days and other days just doing our own thing around the house. The weather has played a big part in that; I could say that it's been typical British summer weather but actually it hasn't; it's been more unsettled. It's been warm and wet, cold and wet, torrentially wet and sometimes beautifully sunny. It's been hard to predict from one hour to the next sometimes. On our indoor days, small daughter wanted to learn how to use the sewing machine so we set it up one soggy afternoon. She took to it like a duck to water - and hasn't wanted to touch it since. 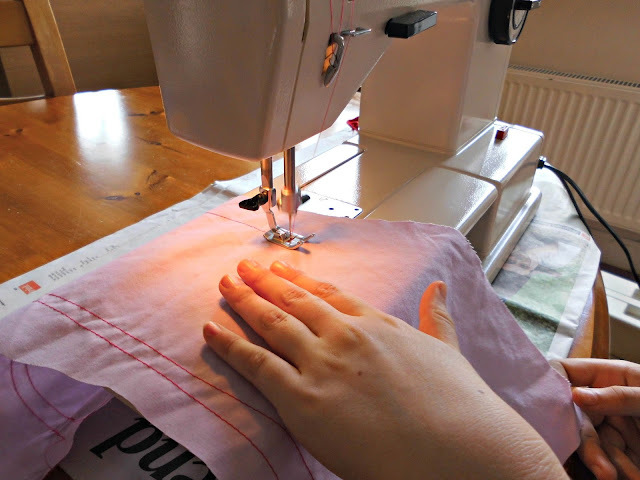 Perhaps she just needed to prove to herself that she could sew straight lines down her fabric, and perhaps she'll choose to come back to it another day. She also got to burn off a bit of energy at a new trampoline centre which has opened just down the road from us. She had fancied going for quite a while so when a friend asked if she wanted to go, she quite literally jumped at the chance! 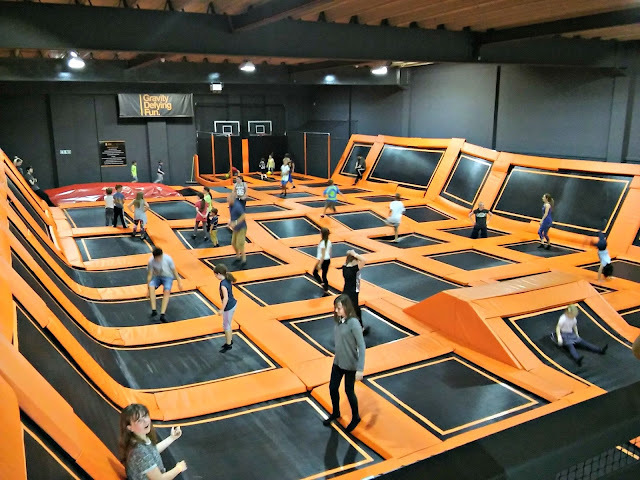 I have to say, it looked like it was great fun and I've never seen so many trampolines in one place! Big daughter chose a couple of our outdoor outings. With not going away this summer we have had more days out that we might usually do. Sometimes we've gone to the beach or the park, and sometimes we've been on an organised visit, like the one to this place. Do you recognise the destination? My husband and I went on the Coronation Street tour many years ago when it was part of the Granada Studios Tour but that shut down in 1999 which was a real shame. 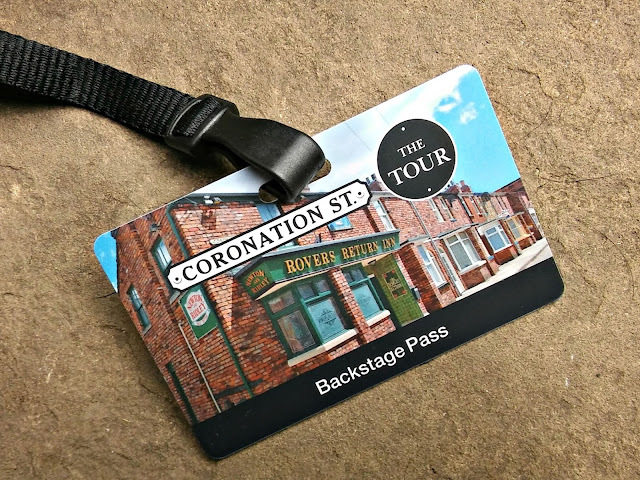 One of my Canadian cousins is a huge Coronation Street fan and he would have loved to visit the set when he was over here in 2010 but unfortunately the new tour wasn't up and running then. 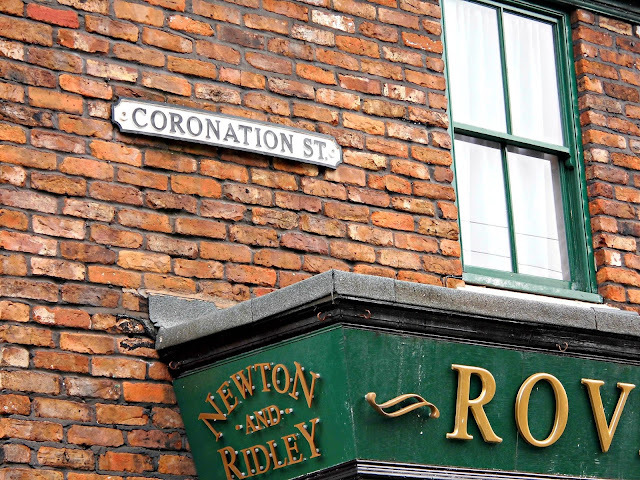 The set has been rebuilt in the new Media City at Salford Quays and it seems there are still discussions about the fate of the old Street.The new Coronation Street tour is currently only expected to be available until Christmas, but it would be another shame for them to shut it down completely. Like it or loathe it, the Coronation Street soap opera is part of our British culture and having been on our TV screens for over 50 years now, is something that has been shared and enjoyed by generations of families. We wanted to take our girls to see the Street whilst we still had the opportunity, and we were very glad that we did. The tour guide was excellent and was clearly a huge fan himself which always makes for an interesting experience, and we thoroughly enjoyed the experience - I can definitely recommend it! 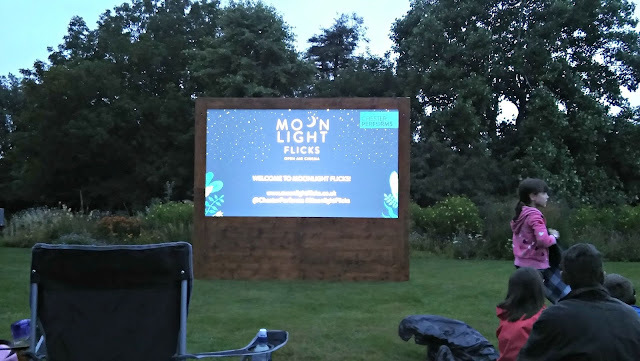 One of big daughter's other successful suggestions was the Moonlight Flicks open air cinema showings of various films in locations in Cheshire. 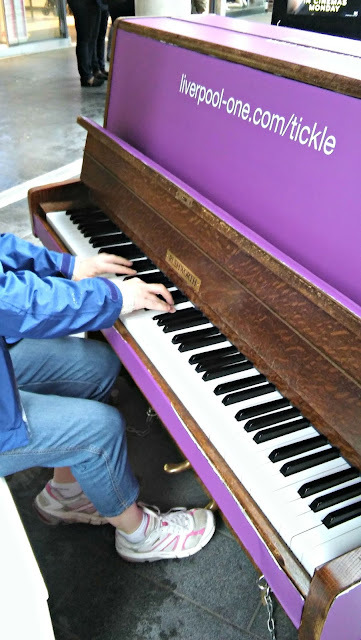 She went to see Mamma Mia with a friend and the pair of them got absolutely soaked but still stayed and sang along with the film, and then a couple of weeks later we all went to see Paddington, the film about the bear in the duffle coat who comes to London from Darkest Peru. Having grown up watching the stop motion series of Paddington stories, I wasn't sure whether I would like this film at all - for a start, Paddington himself looks very different - but it's lovely, and a lesson to us all in putting aside our prejudices about people (or bears) who look different to us. My very favourite bit is where Paddington and his creator, Michael Bond, acknowledge each other with a raised glass and a tipped hat - brings a tear to my eye every time! Other than that, it's been a summer of gentle relaxation. I can't tell you how lovely it has been to be able to get up later (and often not that much later) and not have to rush around, reminding small daughter that yes, it is a weekday and therefore we do have to get to school, or looking for things that need taking into school or college today and should have been put ready the day before but of course weren't. To be able to sit on the front step in the early morning sunshine and catch up with a few rounds of sock knitting. To smell the flowers and take time to realise what lovely people my girls are growing into. I've felt calm and it's been wonderful. 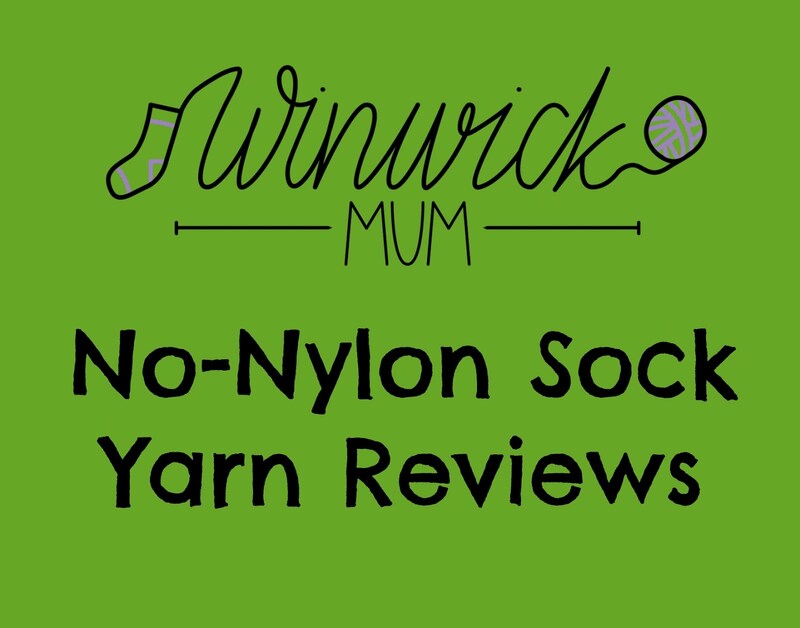 Back in July when I first mentioned the Yarndale Sock Line, I wasn't quite sure what to expect. We all have so many demands on our time and our resources that it's not always easy to fit in some extra knitting and I did worry just a little bit that I might have started something that wasn't going to be practical. 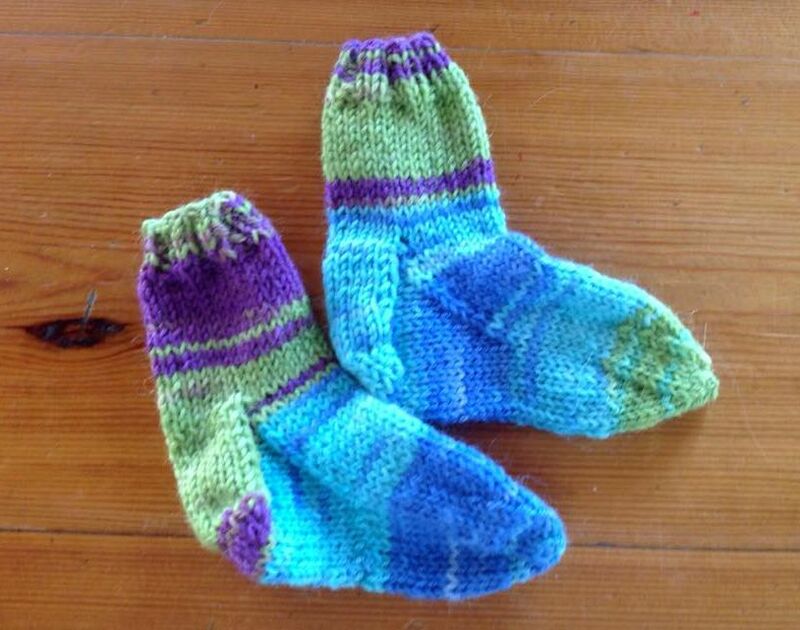 After all, there's quite a difference between knitting small charity contributions and a pair of socks! I shouldn't have worried at all. If there is one that I should know by now, it's that the crafting community is a very generous community which appreciates that knitting something for someone else brings joy to both the knitter and the receiver - and to the person organising the charity sock knit - me! Thank you so much to everyone who has let me know that they are knitting socks for the Yarndale Sock Line. 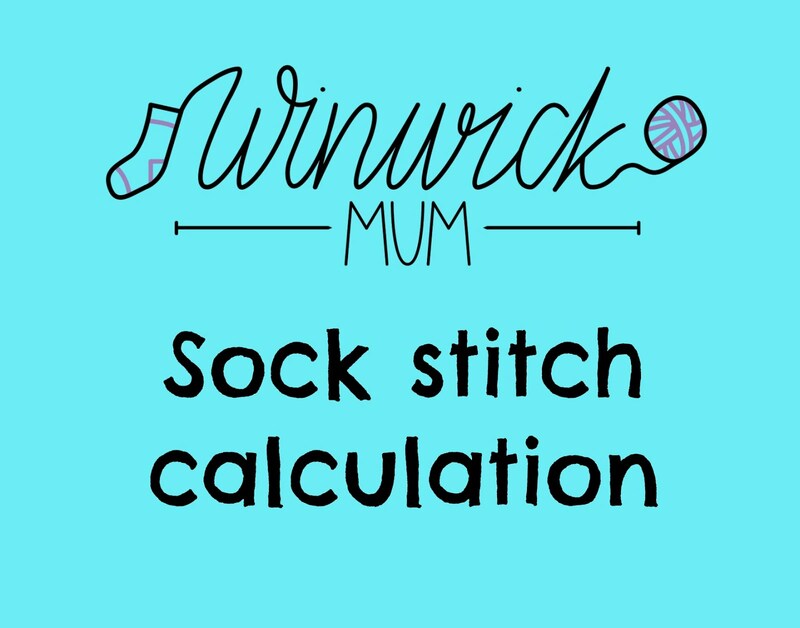 I'm so very grateful that you want to get involved, and although anyone posting socks will be sending them to Skipton and I haven't seen them yet (it'll be like Christmas when I get there in September! 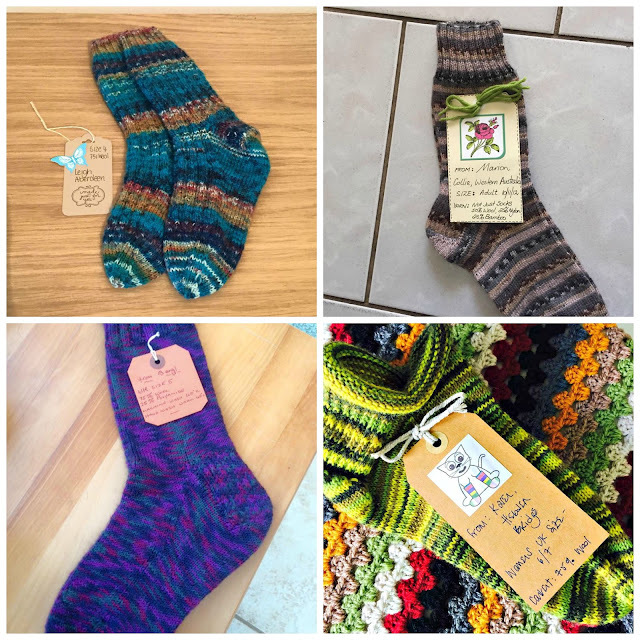 ), I can share with you some of the photos that I've seen of socks that will be gracing the Yarndale Sock Line at this year's Yarndale festival. They have been knitted by ladies all over the world - England, Scotland, Wales, France, Australia - and these are just the ones I'm showing you here! First up ... socks in progress. Long socks, short socks, children's socks, 4ply socks, 6ply (DK) socks ... socks knitted in cafes and at home. 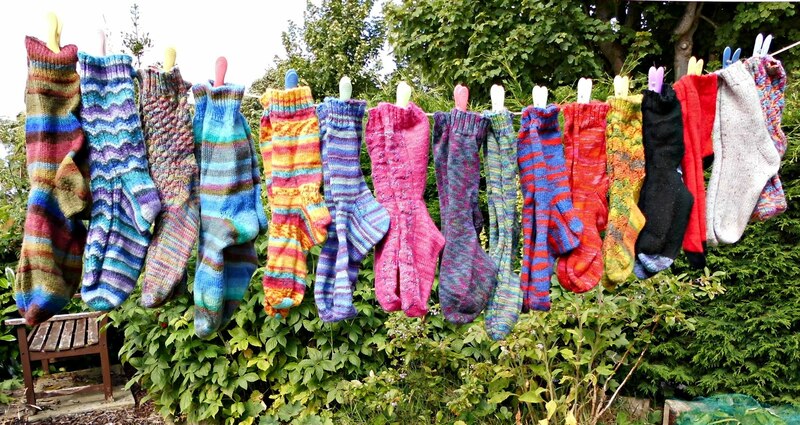 In fact, socks knitted anywhere, just as you would knit a pair for yourself - but this time the socks will be bringing a smile to a stranger's face. I've noticed there's a bit of a stripe theme going on, and I love that! I've had quite a few suggestions now of places that would welcome pairs of socks for the people that they work with, and I'm going to be contacting them all - even if only one pair of socks is gifted to somewhere then it's a pair of socks that someone wouldn't have had otherwise. It's not too late to let me know if you have any ideas so do get in touch! These are finished pairs, waiting for their gift labels. You can find the information on what to write on the labels here - nothing fancy, just a simple message from the knitter to the receiver. These pairs are all various sizes and patterns - there's no rule for how to knit the socks (although if you're a beginner you might want to have a look at the Sockalong tutorials to get you started). Look, there's even a pair of baby socks! These are the socks all ready to be hung up on the Yarndale Sock Line. 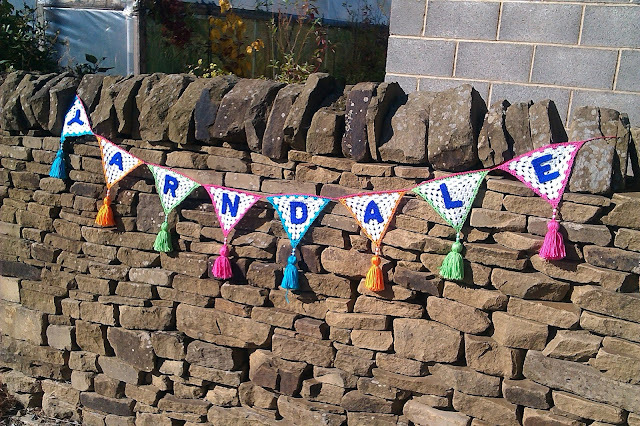 I've got a vision of a washing line with pairs of socks pegged up and gently swaying in the Yarndale breeze. These socks are going to look fabulous up there! Don't forget that if you live abroad and want to join in, you don't have to post your socks to England, you can gift your socks to someone locally and send me a picture so that I can peg the picture up on the Line. This is what's happened with this pair of socks - the knitter has already gifted them to a retirement home for elderly ladies in France and I know that there will be a French lady there with a smile on her face at having these beauties on her feet. It's not too late to join in if you'd like to knit a pair of socks. 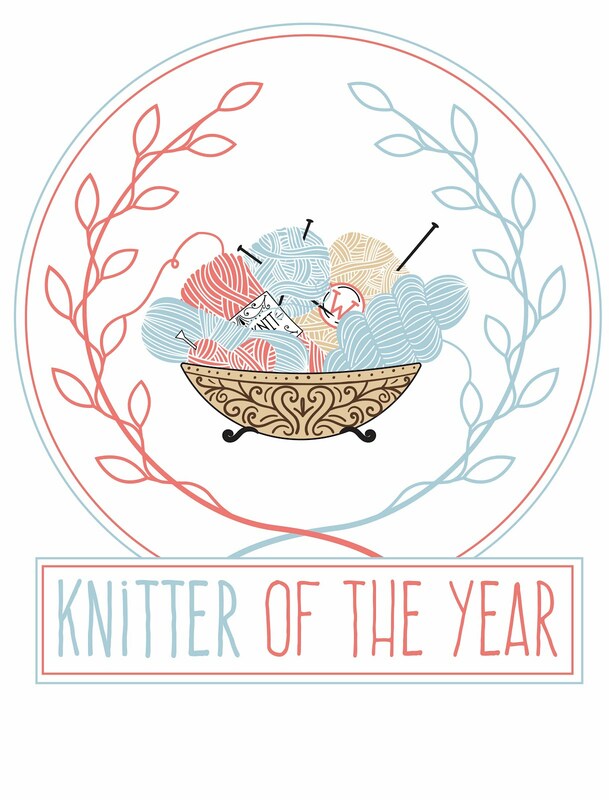 You can find all the details of how to get involved in this post and I'm going to be collecting the socks on 8 September when I go up to Skipton to see Lucy and the other ladies at the Coopers Knit n Natter - ooh, I have missed going there over the summer holidays! I had never realised just what a boost to your wellbeing knitting and nattering is and I'd recommend to anybody that they got involved with their local group if they can. 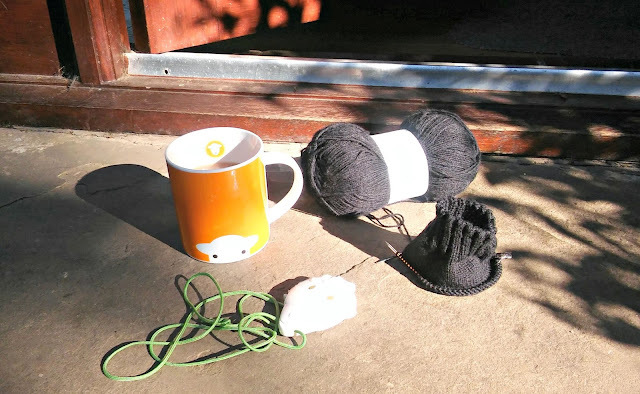 You can also bring your Yarndale socks to Black Sheep Wools on 5 or 16 September if you're coming along to say hello which will save the postage (note that I have said nothing at all about spending the money on yarn or cake instead! ), and of course you can bring them with you if you're coming to Yarndale on 26 and 27 September. You'll be wondering where my pair of socks are. It's no good organising a charity sock knit without putting my own pair up there! Well, they're here! I've got enough yarn left to make a smaller pair too, so I'll be casting those on later on today. The yarn is Superba Circus 4ply shade 001 in case you're interested, and it knits up very nicely so I may well take note of the hints that small daughter has been dropping and make a pair for her in the same yarn. I can't tell you how delighted I am to be able to show you these pictures, and to know that you're going to be able to see them for yourself if you're coming up to Yarndale, and especially that afterwards they'll be going to a good home. 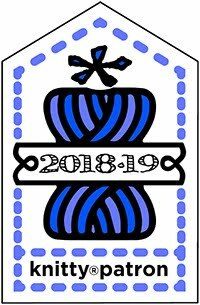 I will be photographing all of the socks that are knitted for the Sock Line so will be able to show them all off to you in September in case you're not able to make it to Yarndale, and I'll also be able to let you know later in the year where the socks have been gifted to as well. 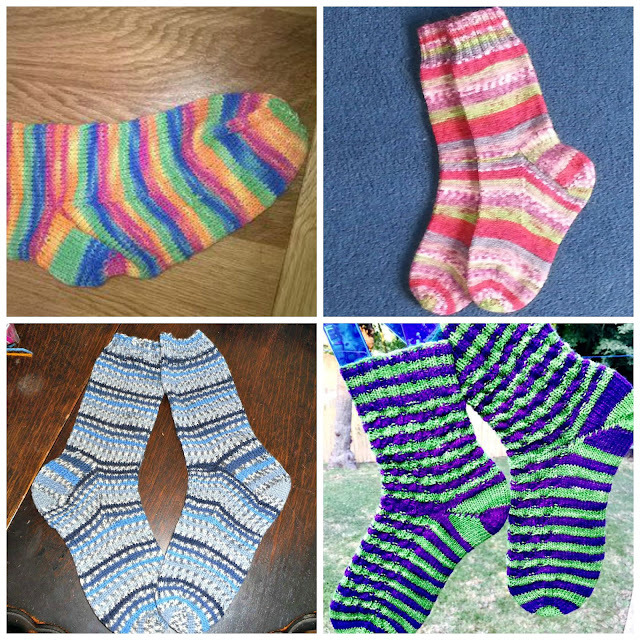 Thank you to Alison, Angie, Beryl, Catherine, Corinne, Ella, Helen, Jacquie, Joy, June, Karen, Leigh, Marion, "Murphy" and Tina for letting me share the pictures of your beautiful socks - and thank you to you too, if you've sent pairs that I haven't seen yet! 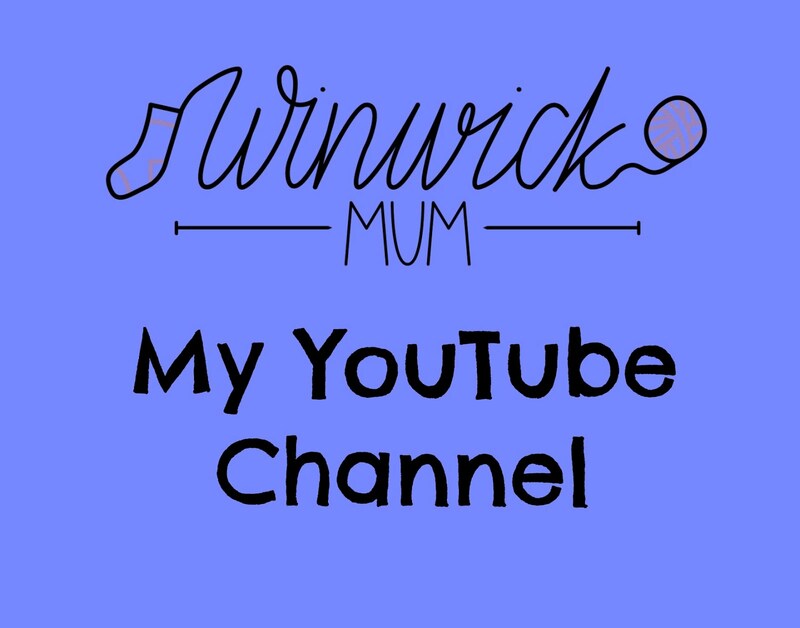 We've been talking recently in the Winwick Mum Sockalong Facebook groups about meeting up in real life as well as being part of a virtual group on the internet. 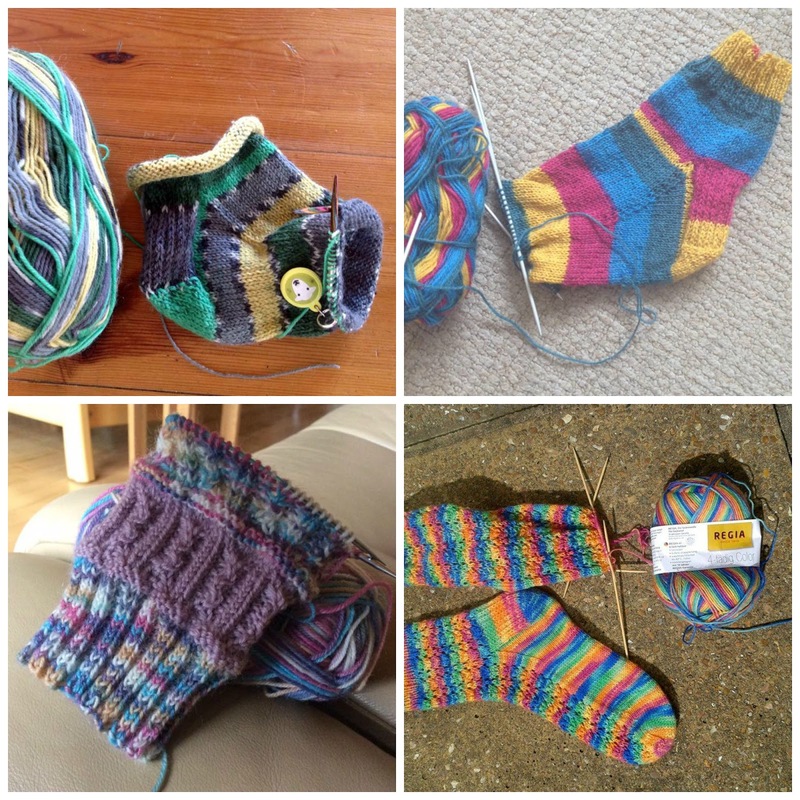 There have been a couple of new knit n natter groups formed already - one in the Isle of Wight and one in Australia - which is just wonderful, and I've got some details here of some other meet up dates in case you'd like to come along and meet some other Sockalongers yourself. On Saturday 5 September 2015, I will be at Black Sheep Wools in Culcheth, near Warrington, for a book signing session (ooh, get me!) from 11am until 1pm. I'll have copies of my Super Socks book for you to buy and of course you can stock up on supplies at Black Sheep. If you've already bought a copy of the book and would like me to sign it for you, then do bring it along and I'll be more than happy to do that. If you've got socks to show off, then bring those along too - I always love to see socks! 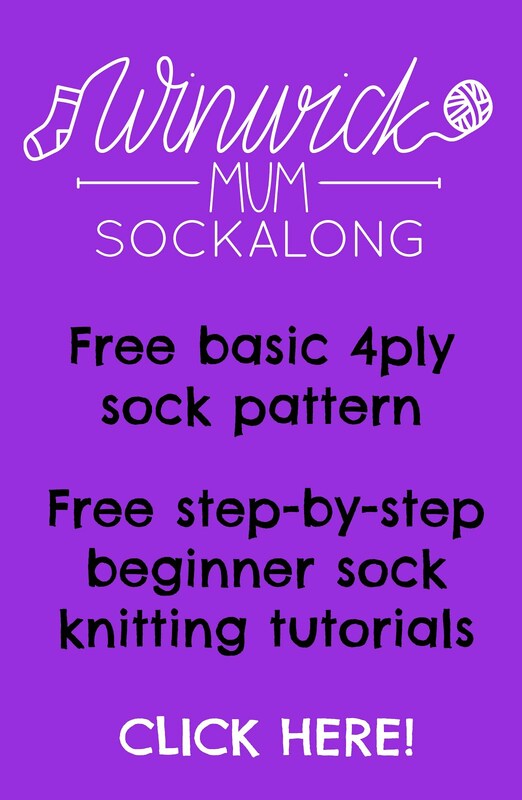 I'm also happy to answer questions about starting socks or if you're stuck, so bring your current sock along too! This is an old photo of Black Sheep Craft Barn - I really must take a new one! 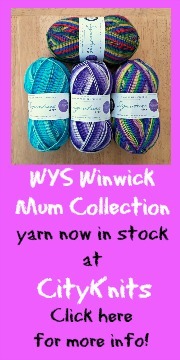 Black Sheep Wools is situated just outside Culcheth village centre. 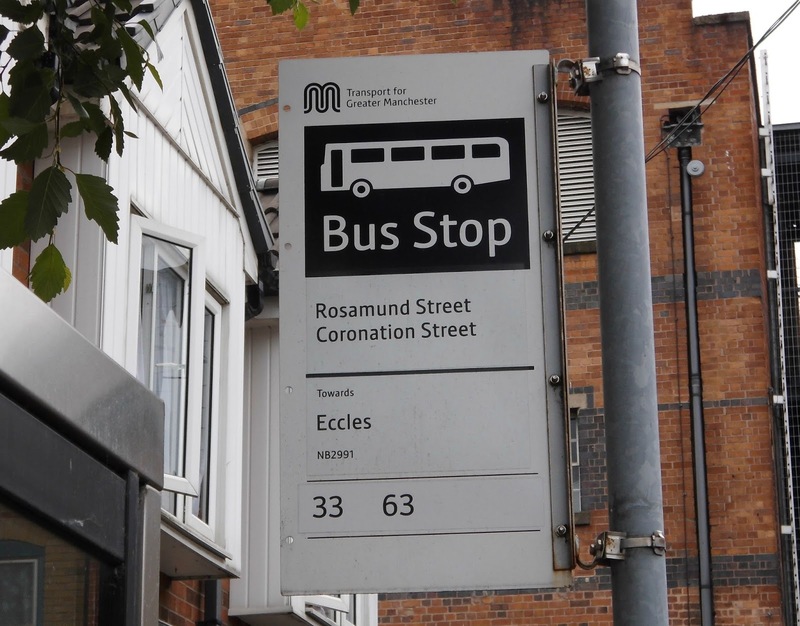 It's quite easy to reach from the M6 and the M62 motorways if you're coming from further afield - you can find directions here. 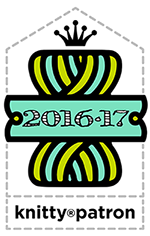 It's got a lovely cafe and is bright and spacious with lots and lots of yarn to squish. You can read more about what's at Black Sheep here. If you're visiting with family who might not want to spend as much time at the Craft Barn as you do, then a quick trip into Culcheth might be the answer. 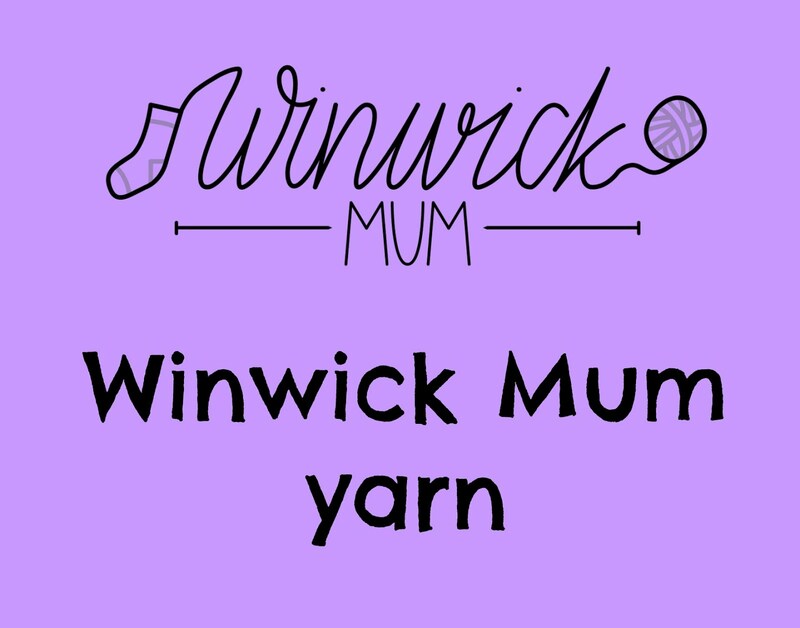 There are shops, cafes and a play park there which can all be more of a distraction for small people than displays of yarn! I'll be back at Black Sheep Wools on Wednesday 16 September 2015 from 11am until 1pm for a Sock Clinic. Bring your current sock along with you - even if you're not stuck it's an ideal opportunity to meet other Sockalongers and sit and knit for a while at Black Sheep. I'm sure they'll be very happy to have their Craft Barn full of sock knitters for the morning! Finally - and very excitingly - I'm going to be at the Yarndale festival in Skipton on Saturday 26 September and Sunday 27 September 2015. 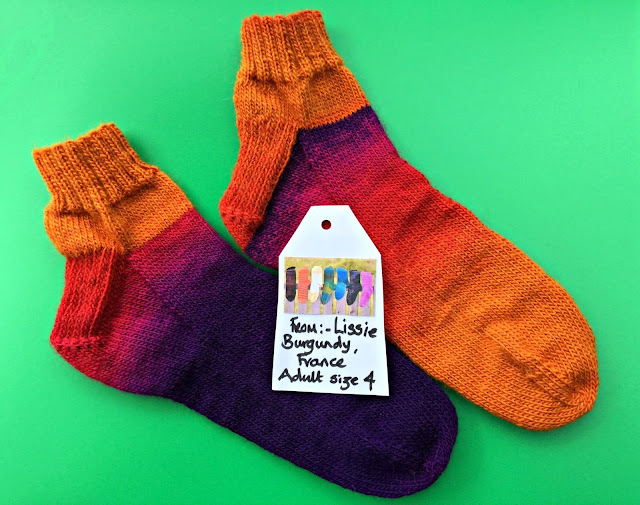 Lucy has very kindly said that we can use the Yarndale Knit n Natter Lounge for a Sock Clinic and Social so it's another great opportunity to come along and show off your socks and ask questions if you need to. Lucy has booked us in from 12pm until 2pm on both days so whether you're or a morning or afternoon visitor to Yarndale, you should get a chance to come and say hello. 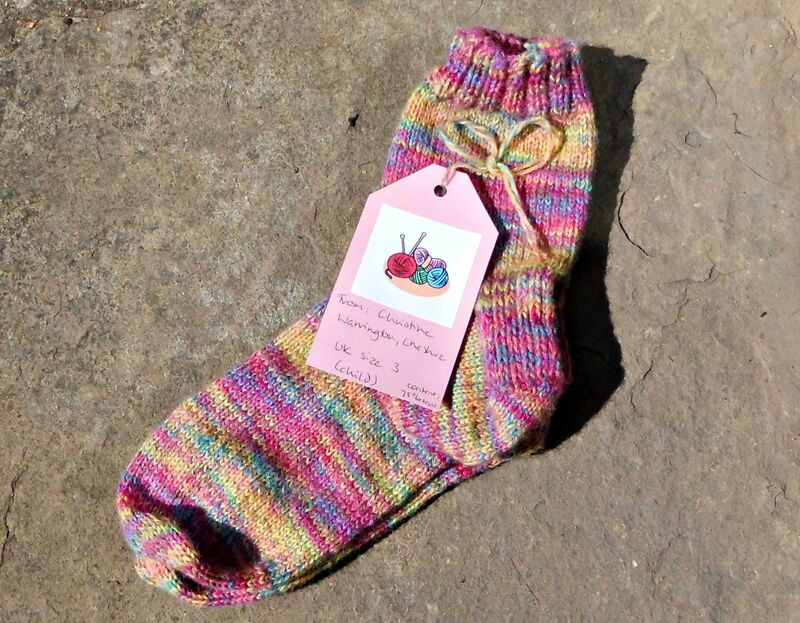 Don't forget about the Yarndale Sock Line if you'd like to make a pair of charity socks - thank you to everyone who has already started on their socks, I'm hoping we're going to have a very colourful display! I've finished my pair which I'll be able to show to you very soon and I'll also update you on how it's all going. 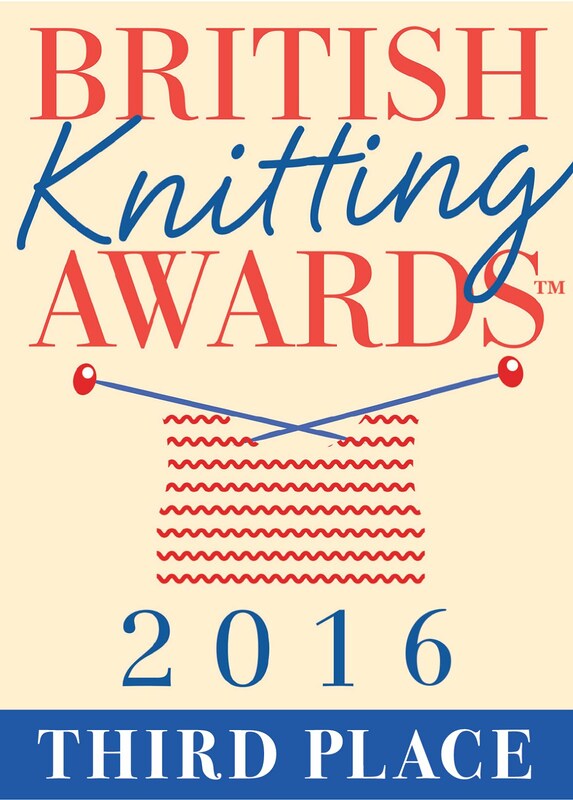 It'll be lovely to see you if you can make any of the dates - and I'll look forward to seeing lots of socks!